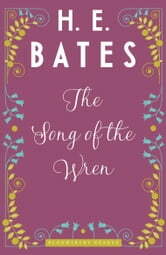 Published in 1972, The Song of the Wren contains some light entertainments in the style of the Uncle Silas tales, alongside some more serious stories concerning thwarted love, love triangles, and, in two of the cases, the violence that comes out of psyches twisted by love. 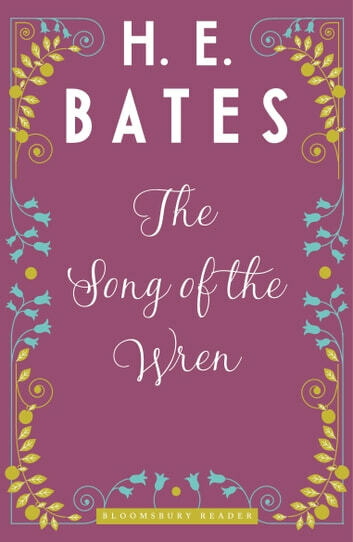 'The Song of the Wren' features the intriguing Miss Shuttleworth as she spars with a young sociologist conducting a survey on various issues, leaving him dumfounded by her apparently mad behaviour and no more appreciative of nature than when he started. She appears again in 'Oh! Sweeter Than the Berry' where she proves herself more than a match for a visiting minister. Convincing him to try one homemade potion after another, she engages the tipsy Reverend in a theological debate until, stunned, he wobbles away and falls to his knees to pray for her. Taking a darker, more abstract turn 'The Man Who Loved Squirrels' is a tale of a woodsman who works alone and lives with his mother, finding company only in the forest's squirrels. A chance meeting with a traveling London woman disrupts his life and ends in tragedy. 'The Tiger Moth' depicts an affair between an airman and a schoolteacher, whose husband is missing in action. The tale hearkens back to Bates's war-time Flying Officer X stories in style, flight accounts, and pilot jargon. The bonus story 'Music for Christmas', first published in 1951, is a comic portrayal of provincial rivalries, involving a musical snob with London tastes, a north Midlands woman favouring local talent, and, relaying gossip and innuendo between the two, a grocery deliveryman.